Hands Of Chef, Italian Food. Description: Hands of chef, Italian food. 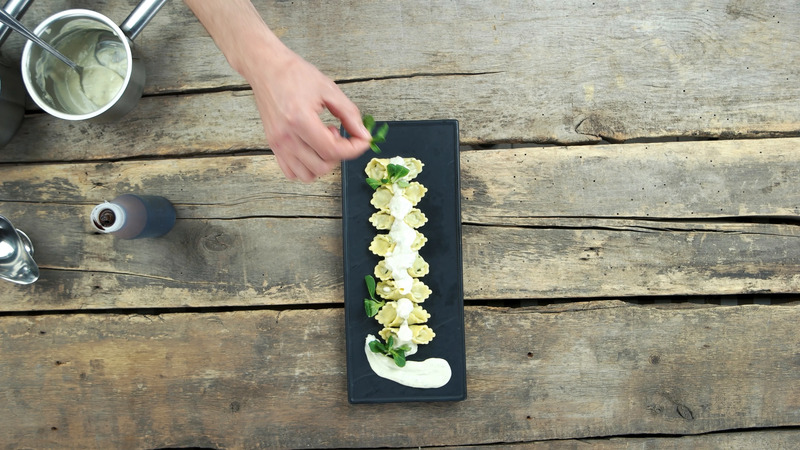 Ravioli on wooden background.